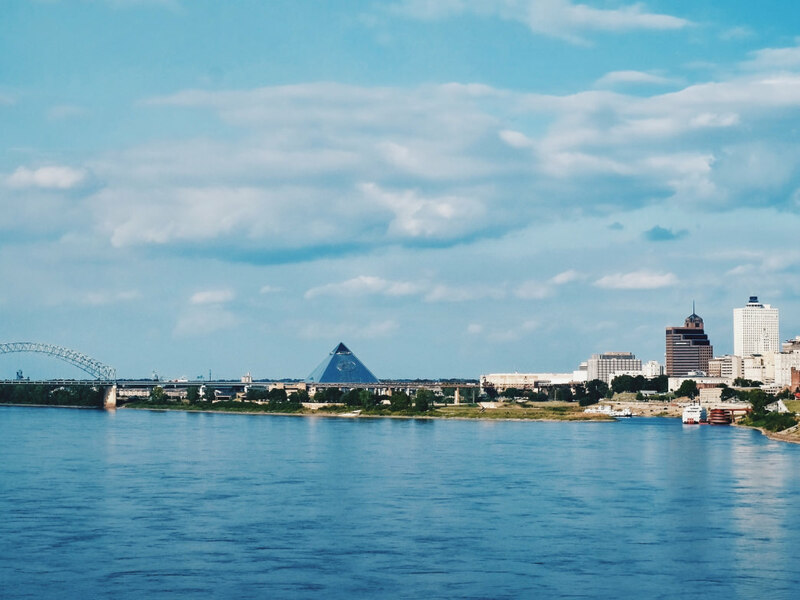 Nestled atop the mighty Mississippi River’s "fourth bluff" lies Tennessee’s westernmost city and one of the South’s true cultural epicenters: the one and only Memphis, cultural center of the American South and Mississippi Delta. This five-mile urban run to Arkansas and back takes you past the juke joints and historic sites that helped shape the city of grit and grind. The journey begins at Tom Lee Park—a mile long stretch of green space with expansive views of the legendary Mississippi River. This park is perhaps best known for playing host to the Memphis in May International Festival, which draws thousands of people each year and includes the famously muddy Beale Street Music Fest (as well as a tasty barbecue cooking competition). No matter the time of year, the park is consistently a culturally vibrant hotspot. As you make your way along this riverside stretch of pathway, don’t be surprised to hear a multitude of languages from the many visitors making their musical pilgrimage to the city. Take the short climb east up the river bluff toward Main Street and the recently renovated and reimagined Chisca Hotel. In 1954, from a broadcasting booth inside this building, a wacky and nearly unintelligible radio DJ by the name of Dewey Phillips introduced the world to Mr. Elvis Presley. "That’s Alright (Mama)" changed the landscape of the entire music world and Elvis began his rapid rise to superstardom. During the building renovations in 2015, Dewey Phillips’ radio booth was rediscovered and transported over to Sun Studios to be added to their guided tour. The Chisca has since been converted into apartments and is also home to one of the city’s best fine dining experiences: the Tuscan and Sicilian-inspired Catherine and Mary’s. From the Chisca, stay on Main Street and head south along the trolley car lines and rows of beautifully preserved historic buildings that make up the South Main Arts District. In approximately half a mile, you’ll come to the Lorraine Motel. The Lorraine was a favorite hangout of musicians from the nearby Stax Records, where notable songs such as Wilson Pickett’s "In the Midnight Hour," were penned. 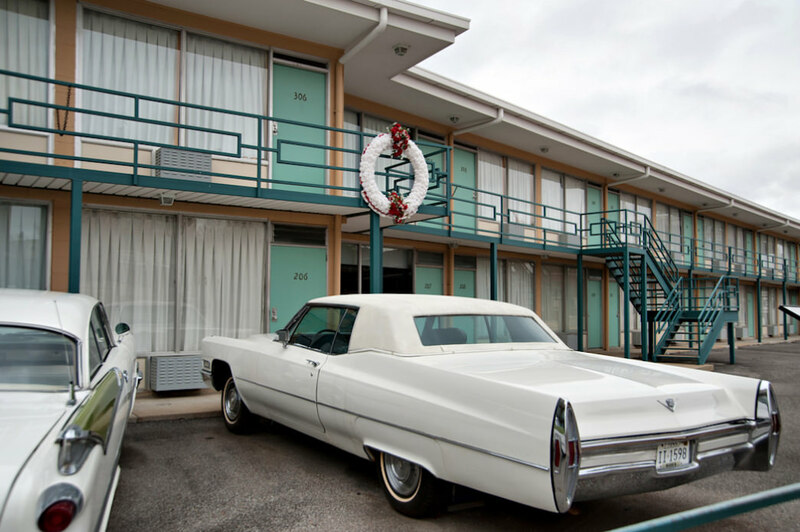 The motel is also infamously known as the location of Dr. Martin Luther King’s assassination on April 4, 1968. The memorialized site of his death is viewable from the exterior, and the inside is now home to the National Civil Rights Museum—an emotionally-charged tour and an absolute must-see while in Memphis. A few blocks ahead on the right is the notorious Earnestine and Hazel’s. During the 50s and 60s, this bar (and once-brothel) was a popular hangout for visiting musicians, including Ray Charles, Tina Turner, B.B King, and many others. The grungy and rumored-to-be-haunted establishment is still operating and cookin’ up delicious Soul Burgers every night—no frills creations consisting of thin, perfectly charred patties, with grilled onions and yellow mustard on a grocery store-bought bun. Simple yet delicious. (Just make sure you save ordering one for after the run!) They also host one of the most groovin’ soul bands in the city on Saturday nights. Now it’s time to head to the city’s most recently developed outdoor space: the remarkable Big River Crossing. The Harahan Bridge, spanning more than a mile across the Mississippi River into Arkansas, was considered one of the most impressive engineering feats of its time when it was constructed in the early 1900s. Today, the former wagonway path serves as a pedestrian and bicycle path across the river. Expect to get a boost of speed as you feed off the energy of the fast-flowing water of the Mississippi and the slight descent towards the floodplains of Arkansas. 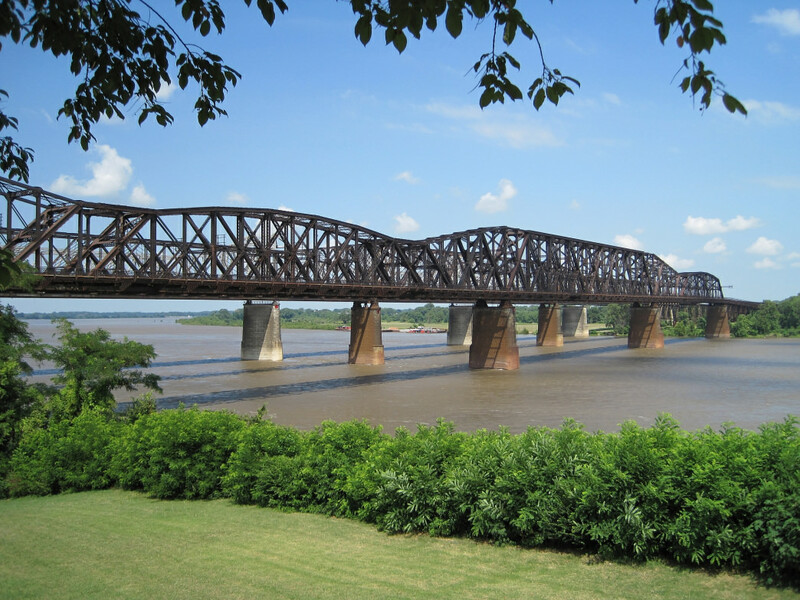 The Big River Crossing also connects to the 70-mile-long "Big River Trail," which uses the Mississippi River’s levee system to connect Memphis to Marianna, Arkansas. Keep going for a much longer run, or turn around here and head back Tennessee. The trip back across the Harahan Bridge into Tennessee offers arguably the best view of the Memphis skyline. Head north towards the city and through Martyrs Park. As you re-enter Tom Lee Park, you’ll pass the Tennessee Brewery, which was once the largest pre-prohibition brewery in the South. Today it’s an urban apartment community housed in a gorgeous Romanesque revival structure looking out over the river. As you finish your run and gaze upon downtown, you won’t see the skyline adorned with cranes or large scale developments that occupy other high-growth Southern cities like Nashville or Atlanta. 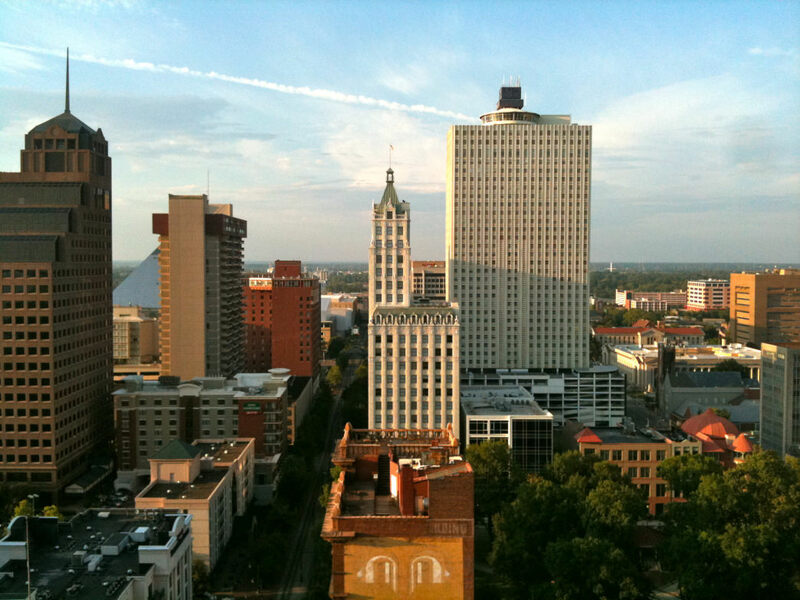 Memphis is experiencing a different kind of growth, from the ground up and the inside out, by investing in renovations of antiquated buildings and feeding off of its rich history. The city is in the process of finalizing the first urban strategic plan it has had since the 80s, and there have been intentional efforts to make the downtown parks and riverwalk accessible both geographically and economically, which has helped people rediscover Memphis as a great place to get outdoors. This run is just one of many ways to witness these changes firsthand, to have an intimate excursion into the heart of some of the city’s most significant living history through a cultural tour unlike any other, and (of course) to experience the stifling Southeast heat. If nothing else, there’s always this one indisputable fact: any Memphis-area run can be rewarded with the best BBQ in the world.